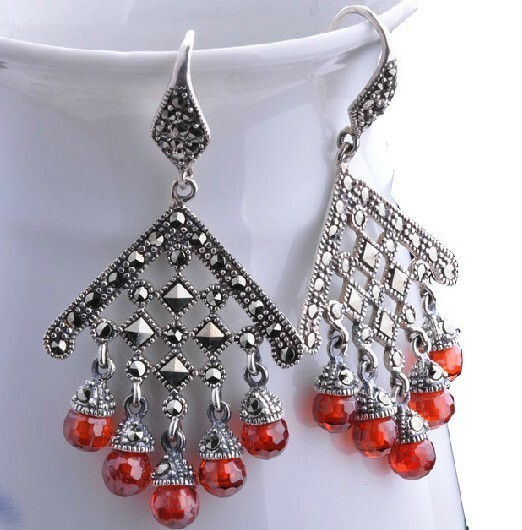 Handmade Tibetan Earrings Sterling Garnet Earrings. 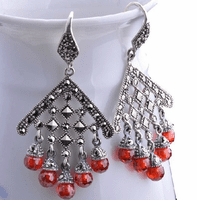 These Earrings were handmade in Tibet from sterling silver and garnet. The size is 33*21mm.